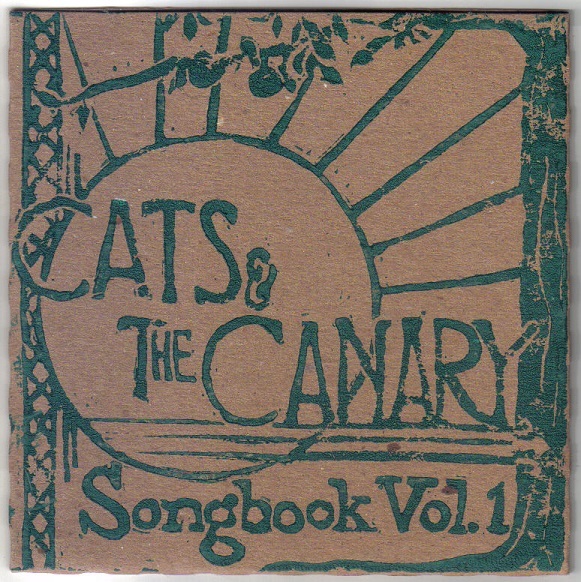 Just before Mrs. Gould and I left for Ireland, Cats and the Canary had the pleasure of releasing our debut album, “Songbook Vol. 1.” We were very fortunate to have Datri Bean and Hot Club Of Cowtown celebrating with us along with The Hot Damn Damsels. We even auctioned off some Gould Going-Away Coloring Books (created by the ever-talented Alice and Lyon Graulty). What a great night! Couldn’t make it? Never fear. We have digital copies for sale! And, while we’re out of the country, you can obtain a physical copy from Luke Hill at any of his public performances (while they last – they are a limited pressing, you know). This note is late … months late; apologies! Jon Doyle is one of my two most regular music mates. He’s certainly one of my very best friends. Without a doubt, he’s one of Austin’s finest musicianers. It thrills me to no end that he decided to front his own quintet and make some recordings of the effort. What more could I desire? How about filling out the quintet with some other close friends and top-shelf musicianers! J.D. Pendley is the other most regular music mate. I have spent more stage and studio time with these two gentlemen than any other musicianer. In these last few years, Hal Smith is edging his way close to that same qualification. If that line-up isn’t enough, it’s my great pleasure to announce one of the best new rhythm guitarists you’ll hear: Brooks Prumo. The line-up in incredible and the music is magic. Michael Steinman at Jazz Lives wrote a lovely review at the Bandcamp website; I urge you to read it for more info on the band (he’s a far better writer than I). I hope you’ll stop by the Jon Doyle Quintet site and give us a listen (and buy the record!). Of course, there are a few live videos of the band on YouTube. For those who don’t know, Mrs. Gould and I had applied and were accepted to the graduate program in Community Music at University of Limerick’s Irish World Academy of Music and Dance. After a few months of preparation and some bittersweet goodbyes in Austin, we departed our beloved city and arrived here last week. Our studies begin in September so we have a couple weeks to get organized and learn the lay of the land. Of course, we’ll be scouring the city for the best music and musicianers and hoping to meet some new people and make new friends. I do hope to pick up a few gigs while we’re here. ‘Til then, the gig calendar will be empty. That’s a big change for me; it’s been fourteen years of packing the schedule with as much music as possible – between five and seven nights per week with one, two, or three gigs each night (I’ve done as many as six gigs in a day). Having this much down time is very interesting. I’m able to stop and smell the roses in a way that wasn’t previously apparent, however, the internal call to play music is tremendously difficult to ignore. Not a bad problem to have, as they say. On the bright side, there is time to design some better plans for moving forward upon my return to Austin in the summer of 2015. I intend to offer lessons via Skype while I’m here and hope to produce a few videos with the extra time. Stay tuned for official announcements on those topics. And, I will actually have the time to post regular updates here at the website … finally! Austin, Texas is home to so many great forms of music and art. There are so many different varieties of music available and the artists that makes up each of these communities are nothing short of great. I’m very proud to be a part of the flourishing jazz community of this wonderful city! Most of my professional life is spent focused on music inspired by the earlier jazz forms from the 1910s through the 1940s. If you’re interested in this sort of thing, you may enjoy the videos found at Jon Doyle’s YouTube channel. Most recently (aside from the exciting work we’ve been doing with the Thrift Set Orchestra), the Jon Doyle Quintet has been highly rewarding. You’ll find a number of videos of this great combo. Of course, I’ve posted a video or two at my own channel. Do enjoy all this great music! I wanted to take a moment to direct your attention to the official Thrift Set Orchestra website. 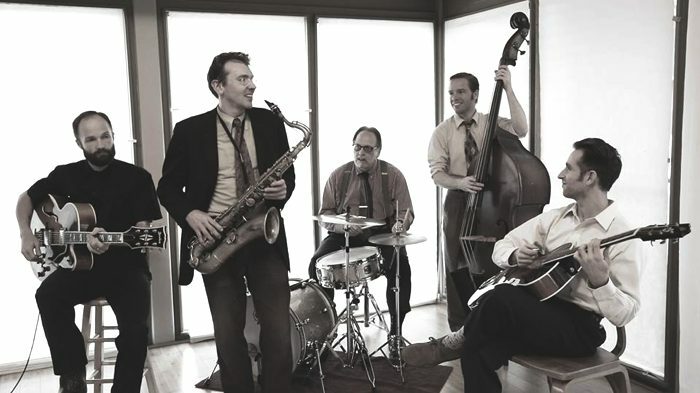 “Born out of a shared love of Classic Swing and Hot Jazz, the Austin, Texas band embraces playing both light and hot; at times reminiscent of a Duke Ellington small group or Django Reinhardt mingled with Milton Brown. It features four horn players (on eight horns) and guitar, banjo, upright bass, and often drum set. The ensemble writes and plays personally tailored arrangements of classic material as well as many originals. Several of the members sing; their styles unique, hinting from the sweet, melancholy of Billie Holiday to the audacity of Al Jolson to the gravel of Jelly Roll Morton’s voice. The new album is available online (in the U.S. only, unfortunately; we’re working towards international sales, please patient). The band is a team of some of the very best jazz musicianers you’ll find anywhere … and some of my very best friends. I’m very proud of the music we’re sharing. I hope you’ll enjoy it, too. ryangouldmusic.com, Proudly powered by WordPress.